Players will be able to play the role of the legendary French commander or become the head of one of the opposing armies to him. 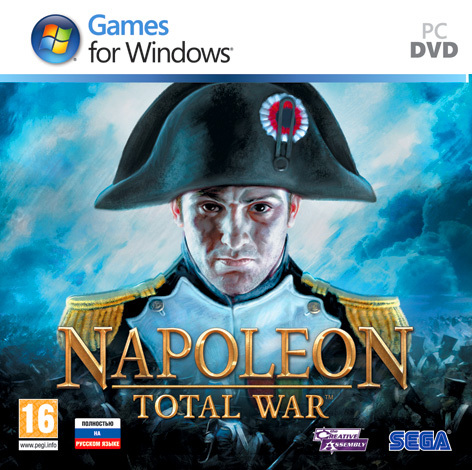 In the three game campaigns are the main Napoleonic Wars, from the victorious operations in Italy and Egypt, through which General Corsican made a dizzying rise and became emperor, to the fiasco of the Russian campaign of 1812 and the defeat at the Battle of Waterloo - last large Bonaparte battle marked the end an era in the history of Europe. - The role of personality in history. Three episodes from the life of Napoleon Bonaparte, folding into a single story of the great captain, - the three strategic maps. The action of the first campaign is unfolding in northern Italy and Austria; second - in North Africa and the Middle East; the third - on the territory of Europe. - On the field of battle. More than three hundred different units available to management, differ not only in appearance but also ability, for example, Russian dragoons are not like their British "namesake". - On the sea. The new system of ship damage: holes are now on a ship can be patched directly into the battle. - On the computer. The full potential of graphics engine Warscape, which created the previous game in the series Empire: Total War. The new physics, improved visual effects and post-processing colors and chiaroscuro make the image even more quality, and optimization engine allows you to run the game on less powerful computers. - Campaigns for the company. The various multiplayer modes and all that is needed for today´s online battles: bonuses are used in the game, the system advances, the editor of military uniforms and voice chat.